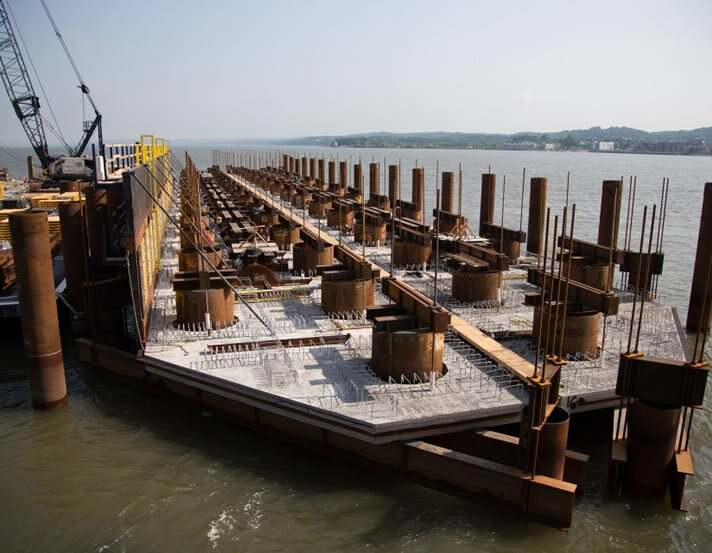 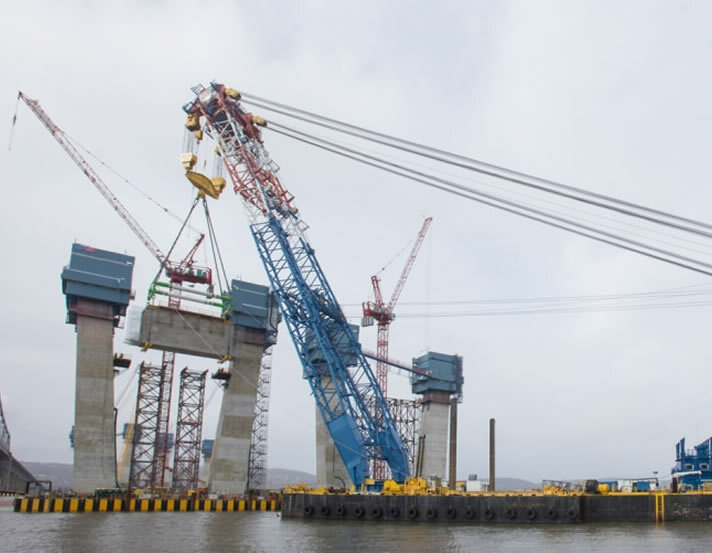 The Tappan Zee Bridge replacement is a 4 Billion dollar bridge project with massive precast components. 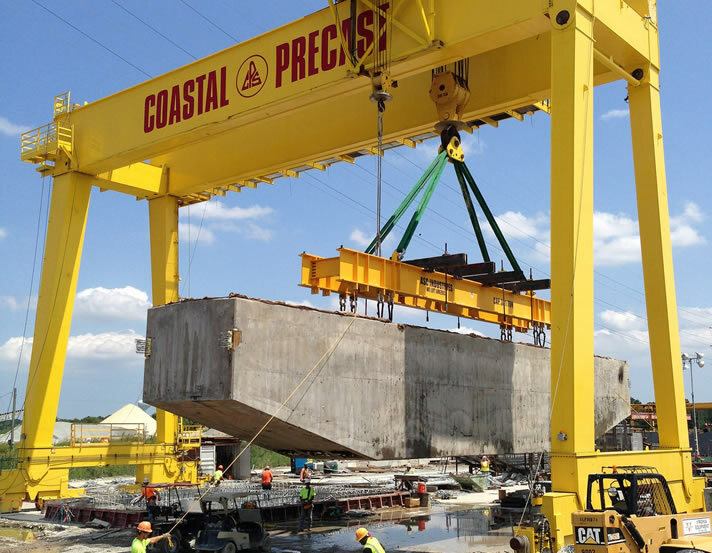 CPS provided many extraordinary precast elements to help speed construction. 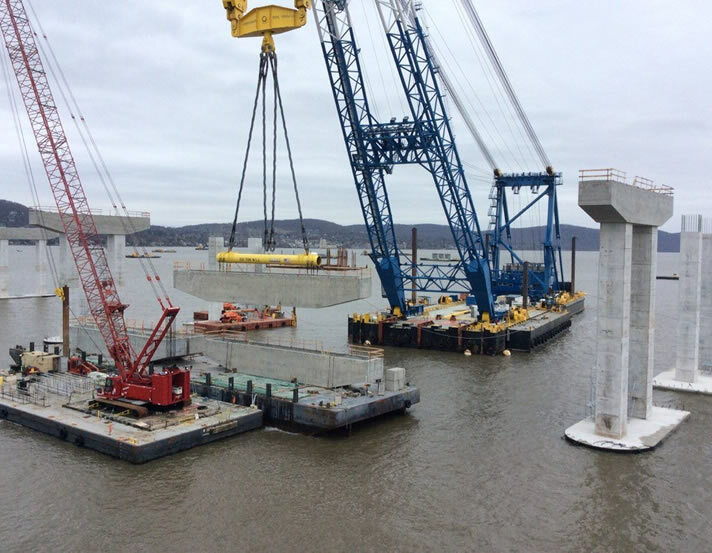 We provided precast Seal slab foundations for the Main and back span towers, as well as 59 column caps weighing 300 tons. 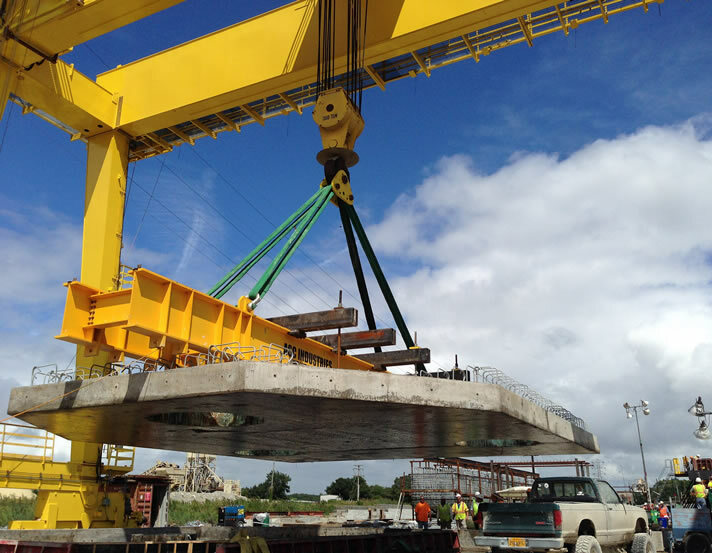 CPS also produced 4 massive 800 ton cross beams to hold the main cable stay towers together. 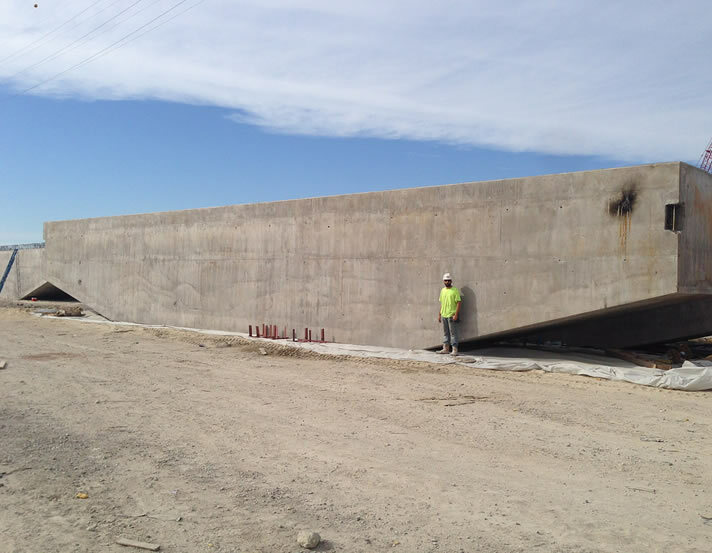 Let’s Talk!We’d love to hear from you.